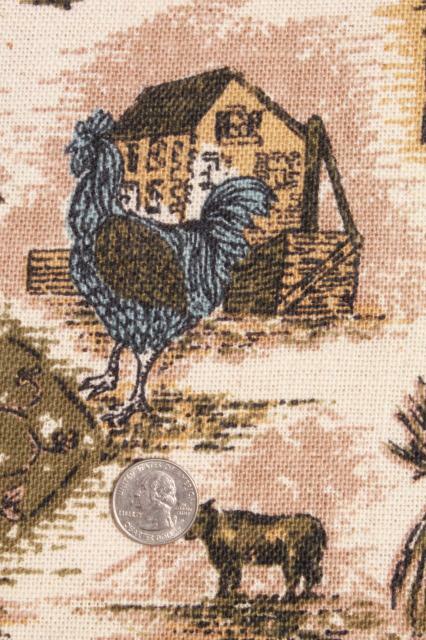 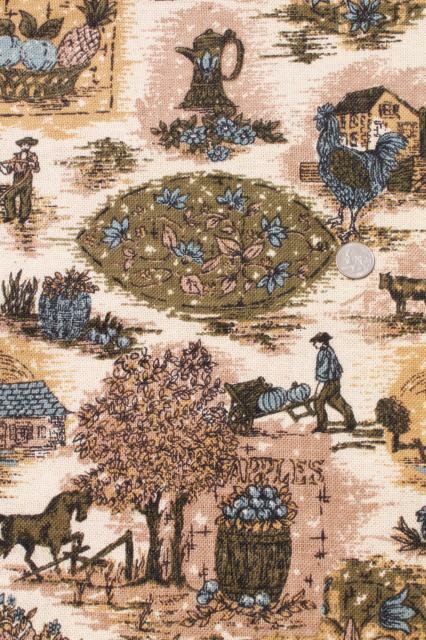 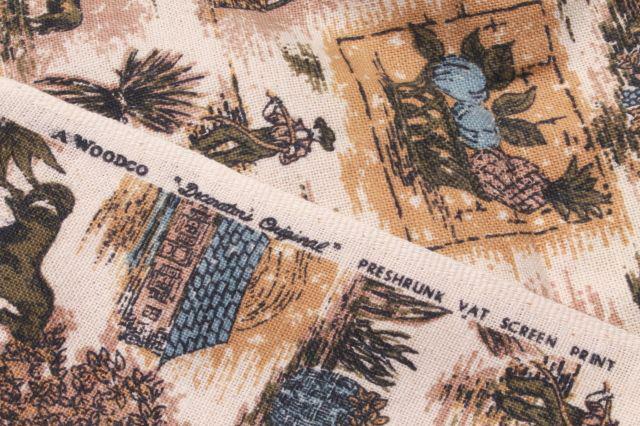 Beautiful 60s vintage fabric, a heavy cotton with a linen weave with french country scenes. 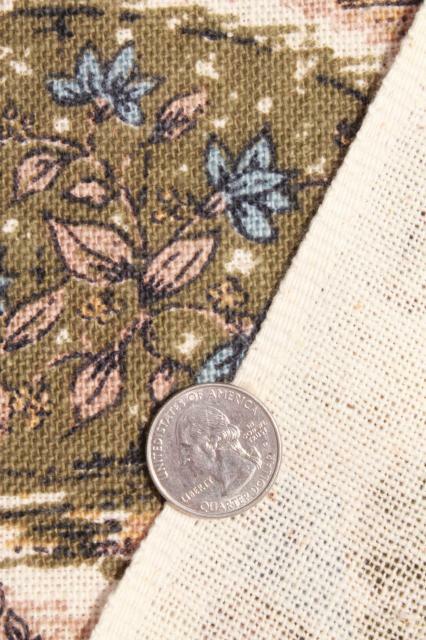 We love the colors, blue and olive green on a natural flax colored background. 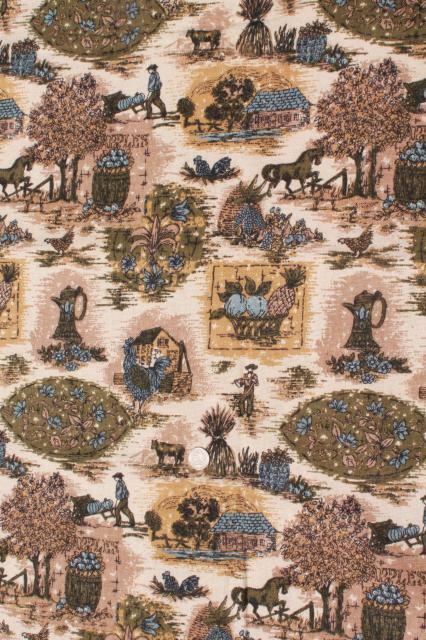 This is 54" wide x 2 yards, in excellent condition never laundered.